According to reports from Belgian news outlet HLN, Chelsea have rejected an €82 million bid from Real Madrid for Eden Hazard, on Monday. They have also reported that The Blues are looking for no less than €100-120 million for the forward. Hazard's Chelsea contract expires in the summer of 2020. The Chelsea maestro has repeatedly rejected contract renewals from the Chelsea since the beginning of this season, and had also publicly admitted to being ready for a Real Madrid move after guiding the Belgian Red Devils to a World Cup 3rd place finish in Russia last year. Real Madrid's move for Hazard looked obvious after the Los Blancos lost Cristiano Ronaldo to Juventus in the last summer as Hazard coincidentally plays in the same position as the Portuguese star man. But Madrid made a few changes to their transfer policies which ended up with the Spanish club investing in young developing players like Vinicius Jr. and Mariano, to fill in the gap left by Cristiano. Eden Hazard's rumoured linkups with Real Madrid had astonishingly reduced after Zinedine Zidane left the club last summer after guiding the club to a 3rd successive Champions League win last year. In a turn of events, Zidane was appointed the manager again last week after Los Blancos seemed to be at a dead-end after a Champions League exit against underdogs Ajax, falling behind in La Liga title race to Barcelona, and also an exit from the domestic cup competition. The re-appointment of Zidane looks favourable for the deal between Hazard and Madrid, as Zidane has been Hazard's inspiration since the 1998 World Cup. 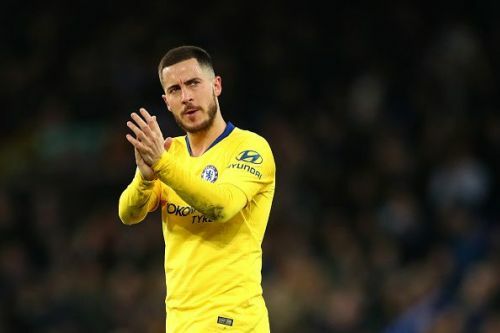 If the Hazard departure seems imminent, Chelsea should definitely cash in from the deal with Real Madrid instead of losing the Belgian to the Spanish club for free in 2020. Also, the Londoners are going to find it difficult to replace the Belgian as he has been the best player for the club for 7 years now.